Denmark’s de facto “blasphemy” law was very broadly-worded, and punishable with a prison sentence of up to four months. Though rarely used, a prosecution for ‘blasphemy’ was brought in 2017, prompting a new national debate on the law. It was then abolished on 2 June 2017. The criminal code contained a de facto blasphemy law, defined in terms of public mockery of or insult to the doctrine or worship of a legally recognized religion. The maximum penalty for a violation of this provision was a fine and up to four months in prison. In February 2017, after a lull of nearly 50 years, public prosecutors charged a man under the ‘blasphemy’ law for posting a video of himself burning a copy of the Quran. This prosecution resurrected national debate on the law, and there were renewed calls to abolish. 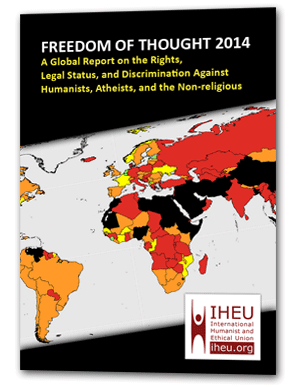 The socialist ‘Enhedslisten’ party, with backing from the ‘Dansk Folkeparti’ (right wing Danish Peoples party) filed a bill to abolish the “blasphemy” law, which was passed decisively, 75 to 27, on 2 June 2017. The 2017 prosecution was only the fourth prosecution in Denmark for ‘blasphemy’, and the first since 1971, when two producers for the station Denmark Radio were charged after airing a song mocking Christianity. They were acquitted. Prior to the 2017 accusation, attempts to bring cases of alleged blasphemy to court had been dismissed by prosecutors as protected free speech.